So what does that mean? 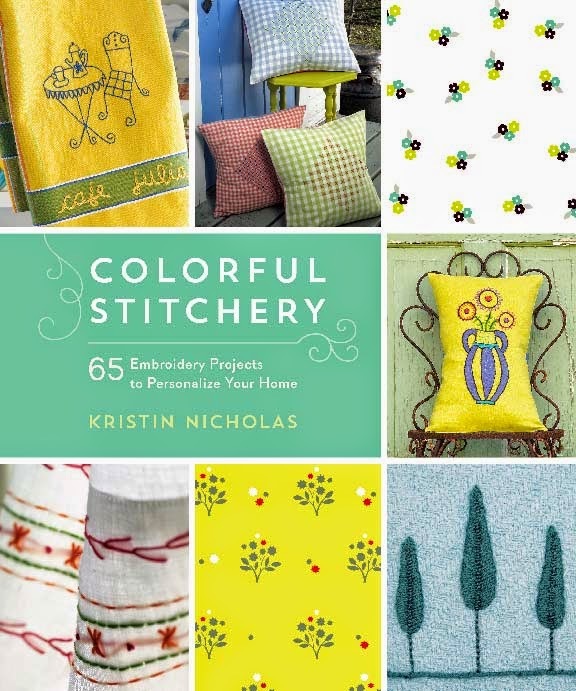 In this virtual world it means that stores - on-line and off - can now sell the new edition of Colorful Stitchery, published today by Roost Books where you will find an interview with me now live on their blog! Yippee! If you are wanting a copy hop on over to my web shop for a signed copy. Or visit your local book store if you are so lucky or if you must, the giant bookstore in the sky. 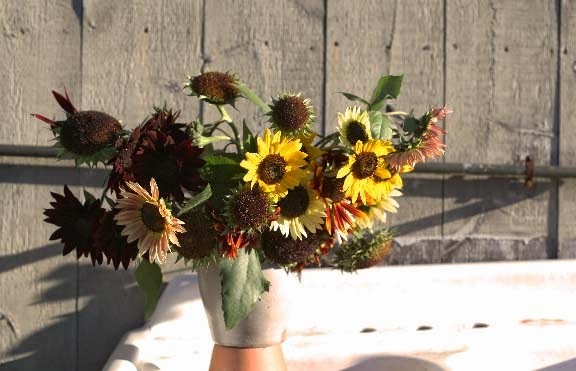 And to celebrate, I'm sending you all a bouquet of Autumn Beauty sunflowers. They are looking rather ragged and finished but I kind of like that - the droopiness, the seed heads, the gentle arching of the stems. We all get tired -- even flowers. I'm off to the Northampton Farmers Market to sell lamb today from 1:30 to 6:30. Stop by and say hi. I'll bring a copy of Colorful Stitchery for you to look at and have some to sell too! Congratulations! I hope it's a big hit. The timing seems right. I am also looking forward to your next book release.